Grab Yourself a Cheat Sheet! Produced in collaboration with the Development That Pays community, these Cheat Sheets are a goldmine of information. The Scrum Team, the Scrum Artefacts, the Scrum Events... and much more. 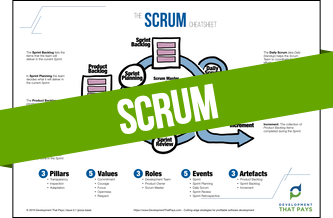 Grab your Scrum Cheat Sheet NOW! Product Backlog, Sprints, Work in Progress Limits... and much more. 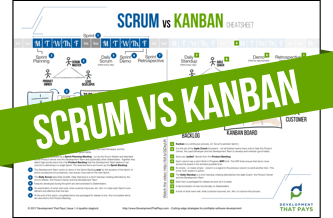 Grab your Scrum vs Kanban Cheat Sheet NOW! From Scrum to Scrumban in 6 Powerful Steps. 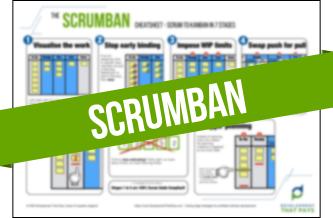 Grab your Scrum to Scrumban Cheat Sheet NOW! 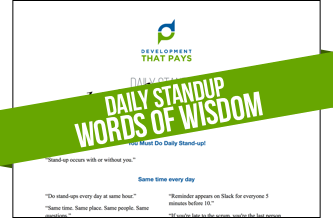 Grab your Daily Standup Words of Wisdom Cheat Sheet NOW! Story Points, Finbonacci Series, Planning Poker... and much more. 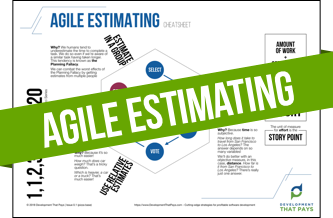 Grab your Agile Estimating Cheat Sheet NOW! Units Tests, Behavioural Tests: their strengths and weaknesses. 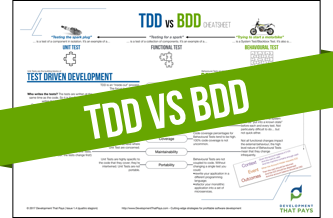 Grab your TDD vs BDD Cheat Sheet NOW! Includes the Iron Triangle and graphs of Value and Risk. 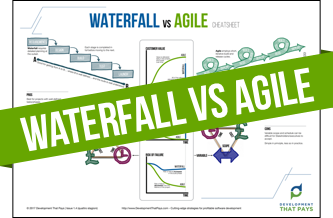 Grab your Waterfall vs Agile Cheat Sheet NOW! Everything from Minimum Viable Product to Pivot or Persevere. 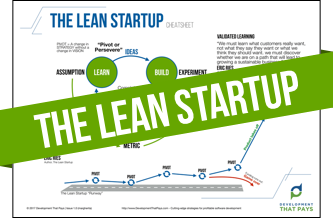 Grab your The Lean Startup Cheat Sheet NOW! A complete framework for testing a new product idea... without building the product! 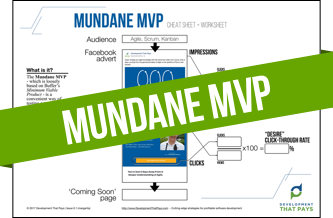 Grab your The Mundane MVP Cheat Sheet NOW! 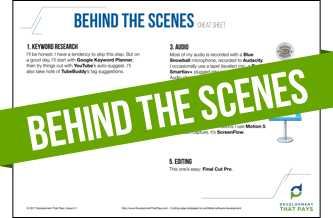 Grab your Development That Pays Behind The Scenes Cheat Sheet NOW! 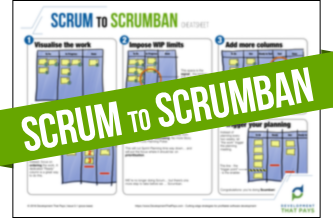 From Scrum to Scrumban in SEVEN Powerful Steps.